There is a high chance that you have some old photo albums forgotten somewhere in the closet. They are fun to pull out when someone comes to visit but what if you want to share those memories online with your friends and family. 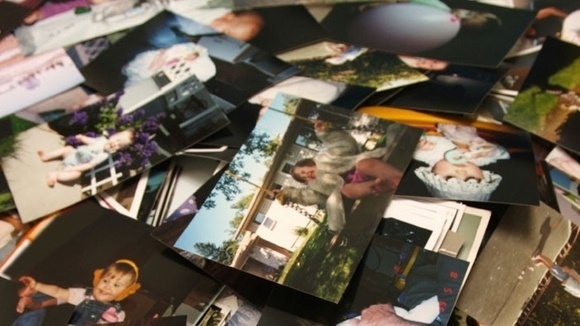 Well, there are a few ways that you can “digitize” your printed photo collection. Before you scan the photos, we suggest you remove any dirt and dust that may be on them, using a microfiber cloth or an alcohol-based cleaning wipe. After that, you will also need to clean your scanner’s glass. Keep in mind that it is important to clean both your photos and scanner, as the sensitive sensor from the scanner will pick even a speck of dust that is on the photo or on the glass. After that, you can start scanning your photos. Since each printer manufacturer comes with its own scanning software, we can’t offer you a “step-by-step” guide, but instead we can give you some tips. If you have a big scanner bed, you will be able to put up to four 4×6 (10x15cm) photos at once. After scanning them, you will be able to crop them using a simple photo editing application. Keep in mind that there are scanners that come with software which will automatically crop the photos for you. We suggest you select a resolution of up to 600dpi, and no less than 300dpi, otherwise the photos might not be as clear as you want. Using a free application on your smartphone that has a high quality camera, such as Samsung Galaxy S6, iPhone 6 etc), you will be able to scan your old photos and share them with your friends online. However, the quality won’t be as great when scanning them with a scanner, but they will look pretty good. We suggest you download and install Shoebox by ancestry.com from the official iPhone or Android store. After installing the application and signing up, you will be able to scan your photos without any problems. Simply lay down the photo, place your phone on top of it, tap on the Focus button and then on the Shutter button. Open Shoebox by ancestry.com application and hit the green camera button. After that, lay down the photo, position your phone so that’s parallel with the photo and tap on the “focus” button and after that tap on the shutter button. After scanning the photo, you can crop it by dragging the crop lines, then you can save it to your smartphone. According to an old post from PetaPixel, you can scan pictures using a DSLR camera that’s outfitted with a macro lens. However, the process will require you to take a series of photos of the film and focus on different section of the film for each shot. After that, you will be able to combine all the photos using a software, which will create a digital version of the film. We’re sure not many readers have access to such a setup but this tip is still worth mentioning. If you’ve tested this method, please leave a comment below and tell us how it worked for you. You can also use this process by buying a macro lens for your iOS or Android smartphone. Even if it will not have the same quality as a DSLR camera, we’re pretty sure that it will be more than sufficient for many people. If all of this is a bit too much for you and you don’t want to waste your time scanning photos, don’t worry, because there are always alternatives. There are a lot of companies that are scanning printed photos. For example, scanmyphotos.com will scan your printed photos, crop them, edit them and even archive them for 0.16 dollars a piece. However, if you have a lot of photos to scan, you will pay even less. For example, their best deal is 145 dollars for 1800 scanned photos. So, if you have a lot of photos to scan and not so much free time, you can always use one of these companies to do this job for you at a low price. Printed photos are not so popular anymore, since we all have smartphones and computers. It’s pretty hard to show printed photos to someone who may not be in the same country or town with you. So, the best way to do it is to scan them and save them as JPGs on your smartphone or computer and share them with all your friends and family.